If you love food, then the state of Oregon has plenty to offer. Home to one of the most exotic doughnuts in the country, you can expect to get plenty of amazing food delectables in this part of the world. And we are going to share some of these tasties here with you. Check them out and and tempt your taste buds! Rated amongst the finest ice cream shops in the country, Salt & Straw is a great place to be if you are in ice cream lover. With stores located across the entire state, you can enjoy some exotic flavors unique to Salt & Straw like Arbequina Olive Oil, Burnside Bourbon, Honey Lavender and many others. Yes, Oregon is home to the world famous Voodoo Doughnut. They are so popular that you can see people standing in lines for hours to get their hands on one, or dozens! There are plenty of amazing flavors in which these doughnuts are available, but the maple bacon bar is a highly recommended option. 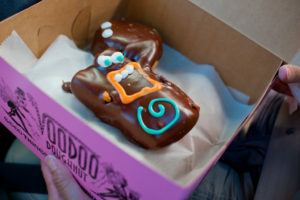 As a foodie, trying out these voodoo-riffic doughnuts must be the first point in your list of things to do! 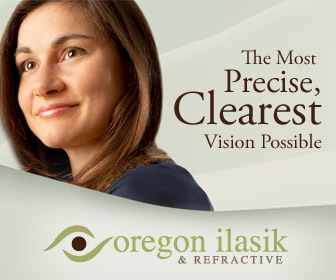 If you have a sweet tooth, then Oregon has got a perfect surprise for you. 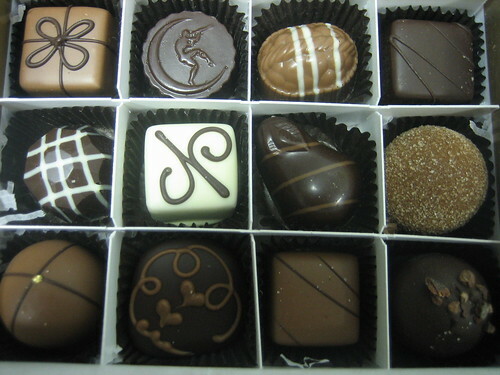 Located in several places around Portland (but sold online for shipping as well), Moonstruck Chocolate are a treat for every foodie who loves chocolates. These chocolates will bring the real flavor of Oregon in your mouth to leave you wanting for more. Grab a few from the store that you pass by and be sure to give your taste buds a yummy treat. It might not exactly qualify as a dish, but it is a food item. Tillamook cheese, produced at the Tillamook Cheese Factory, is one of the most iconic food items coming from this part of the world. Visit the factory for a free guided tour and on the way enjoy some of the most delicious cheeses and ice-cream you would have ever imagined to have. 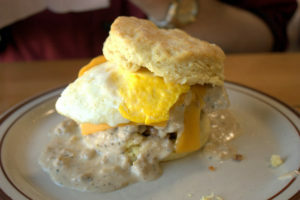 If you don’t want to miss out on the most mouth-watering biscuits in the entire state, then you must visit Pine State Biscuits and try out their Reggie Delux. A perfectly fried egg, with crispy fried chicken, bacon, cheese and gravy and you have a hunger’s heaven in the form of The Reggie Delux from Pine State Biscuits – all served in your platter. These were just a few of some most popular foodie choices around the state of Oregon. There are plenty more that can be added to the list. 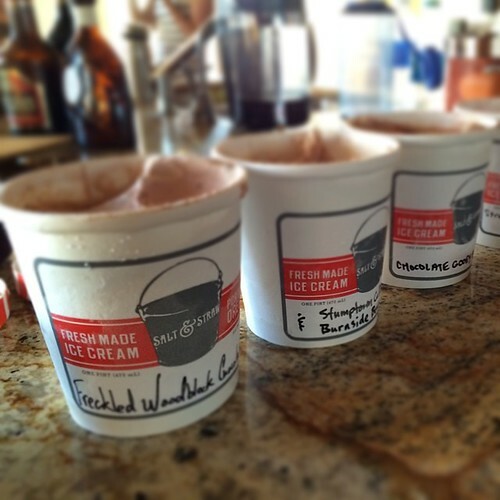 But, when it comes to the must-try ones these names stand out. If you are visiting Oregon for any reason, or live here as a resident, and you want to try out some mouth-watering dishes, then do keep these names on top of your list. We are sure you will fall in love with these tastiest of tasties!